There’s a lot more to science fiction than spaceships and aliens. But science fiction has grown to include much more than just spaceships and aliens. You’ve got time travel and alternate dimensions, dystopias and cyberpunk, robots and space gods. Hard science military space empires, next to interplanetary lovers who are literally star-crossed. The bounds of what gets classified as science fiction are no longer so clear cut that the spaceship-and-alien cover works for every book. Science fiction’s also grown in fandom size since its golden age heyday in the 1950’s. Today’s science fiction readers don’t need such overt signals to find your book. They already know where to find you in the bookstore or online. In fact, because so many covers do show spaceships etc., if you do something different it can help you stand out. It can even help you bring in potential readers who don’t normally read science fiction and may be put off by the genre’s stereotypical covers. 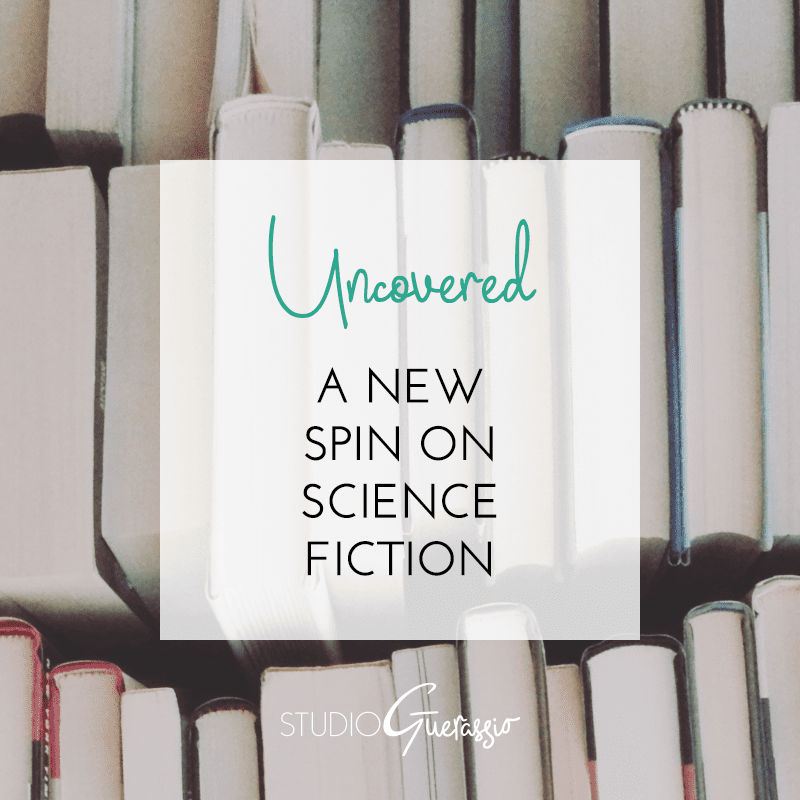 The books that don’t have spaceships or aliens have to take a different route, of course, while still finding a way or styling that fits in with what’s expected of the sci-fi section. But even the books that do take place in space and show space scenes on the cover do so in a minimal way. That landscape for The Left Hand of Darkness could be Earth’s arctic (it’s not). The painterly treatment to the landscape on Luna gives it a nice abstraction. Arkwright is just a swoop of a planet’s ring with no indication of which planet, and not an alien or spaceship in sight. Armada, which does show spaceships, does so in a reduced way, to where they are just icons (like in a video game…). The Humans, whose narrator is an alien, goes the opposite direction and shows a human nose. Clearly, there are many, many ways to hint at science fiction tropes without just plastering them directly across the cover. Now, obviously, if your story does indeed include spaceships and aliens, it’s worth considering whether they should appear on the cover. My point is that it’s not *required* to make a good sci-fi book cover. Science fiction is no longer a tiny box you have to try to cram your story and cover into. There’s room for all sorts. What are some of your favorite science fiction book covers? Do they break the mold or keep within it? I much prefer the bottom covers – as cool as the old-fashioned ‘painted’ covers are, the newer ones are a lot more original, and they usually brand themselves as sci-fi through the typography so they’re free to explore more interesting imagery! Exactly! The older covers have their place, but approaching sci-fi from a wider mindset leads to so much more variety, and some wicked cool covers in their own right.